3-way portable PA for main or floor. 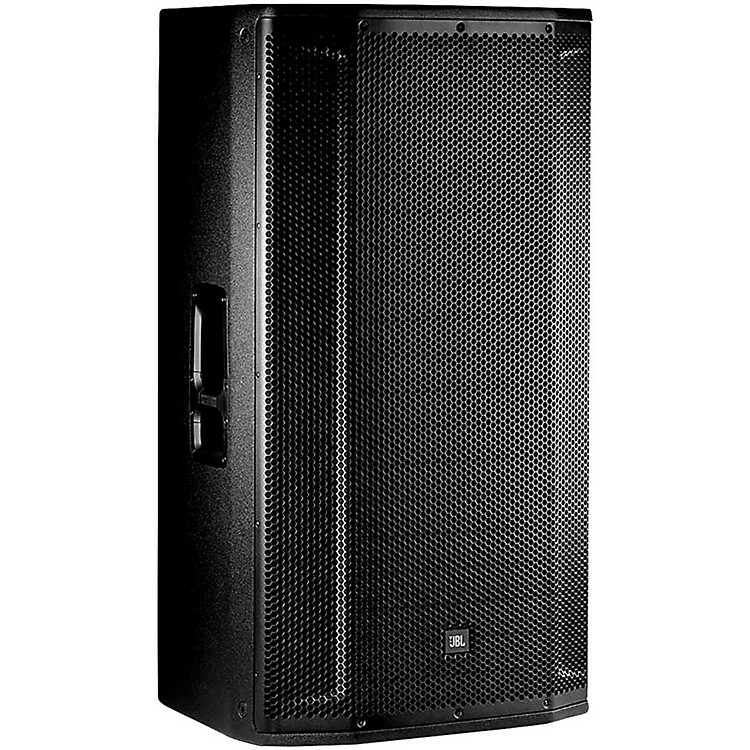 JBL Professional has made a name for itself by producing great sounding PA systems. With the introduction of the SRX800 line of powered portable PA loudspeakers, JBL has set the standard for what a fully professional powered PA system should be. This is the three-way 15" model of the new SRX800 line, ideal for most common sound reinforcement applications. SRX800 breaks new ground, bringing together JBL' premium transducers and enclosures, Crown' Proprietary Front-End DriveCore Technology, user-configurable DSP, and full HiQnet Network control compatible with a variety of platforms. Integrating industry-leading levels of sound quality, power, control, and durability, SRX800 is a perfect all in one solution wherever high performance, comprehensive control, and pristine sound are required. Each component in the SRX800 Series was purposefully designed and thought through to deliver a perfectly tuned system that is powerful, easy to use, and rugged enough for the most demanding applications. Every detail in the SRXBOO Series was purposefully designed and thought through with full consideration for its intended use, each component carefully matched to achieve a perfectly tuned system that is powerful, easy to use, reliable and extremely rugged. Ergonomically designed handles support an easy, non-fatiguing grip for streamlined handling. M1 0 suspension points, indexed feet. and pole/tripod mounts support a wide, flexible array of configurations. An LCD screen and glow in the dark back-panel ink ensure fast. accurate setup even in low light. Each model is Powered By Crown Proprietary Front-End DriveCore Technology featuring a massive 2000W Power Rating, the highest power rating in this class of loudspeakers. With an outstandingly low 103dB signal to-noise ratio, the SRXBOO Series is capable of massive sound pressure levels with exceptional headroom, very low distortion and absolute clarity throughout its frequency range. True Universal PS w/ PFC and locking IEC power cords ensure quick and secure connection for easy setups. A full suite of User Controllable DSP driven by the SRXBOO Series powerful onboard 400mHz Share DSP includes 20 PEQ 's, 2 seconds of delay, signal generators, Input mixing, amplifier monitoring, and 50 User Presets. In addition, the system can incorporate V5 JBL Tunings providing compatibility with our flagship Vertec and VTX touring systems. An integrated LCD screen supports fast setup and configuration. Dimensions (H X W X D) (in): 18.74 X 21.4 X 38.74"